The EVS Sports Sport Vest was designed to provide the rider added protection in the chest and torso areas in the event of a crash. 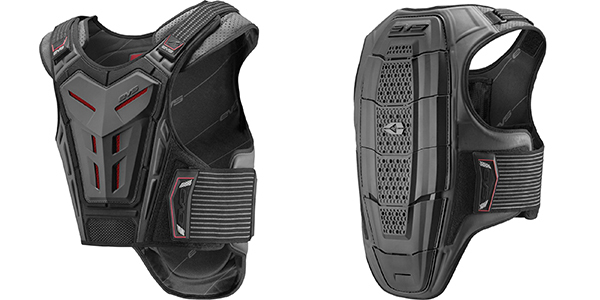 The vest features high impact polypropylene panels for increased protection in a full articulating spine that moves with the rider. Adjustable shoulder straps and kidney belt allow the rider to achieve the perfect fit and the low-profile design of the vest fits under most jackets. The Sport Vest from EVS Sports is the perfect option for riders looking for added protection in a low-profile vest.